Heart Handmade - Crafts, craft ideas and arts and crafts blog: C'mon let's go! I think most of you would agree that one of the best things (if not THE best) about blogging and being a part of the indie community in general are the people you meet. I've only been doing this for a little while and I've already met so many wonderfully talented, like-minded and majorly inspiring women (and a few men of course). Majorly inspiring? That would be Deb of course!! Designer & mastermind behind Bonbon Oiseau. Deb is currently on a road trip (Colorado, Wyoming and Montana - SO jealous!) 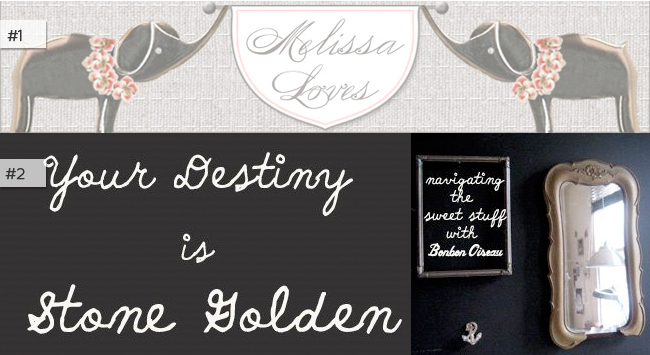 and I'm so honored to be helping out today over at her blog Your Destiny is Stone Golden. She's in the middle of renovating her studio so she thought it would be fun to talk about my workspace. Alrighty, I'm out - going to meet up with a few friends that I haven't seen in really long time. I'm finally going to visit a friend who just recently gave birth (I've had a lingering cold/cough for so long that I haven't had a chance to see the baby). Also seeing 500 Days of Summer then having dinner with my girlfriends to celebrate a birthday! Oh man....you made my day hun. Thanks for this, and you are most definitely NOT a dirt bag. You CAN'T be effortlessly chic the way you are AND be a DB, it isn't possible! So there :) Thank you for saying these lovely things about me my friend...and I hope you have a wonderful time today/tonight. It sounds like SO much fun!